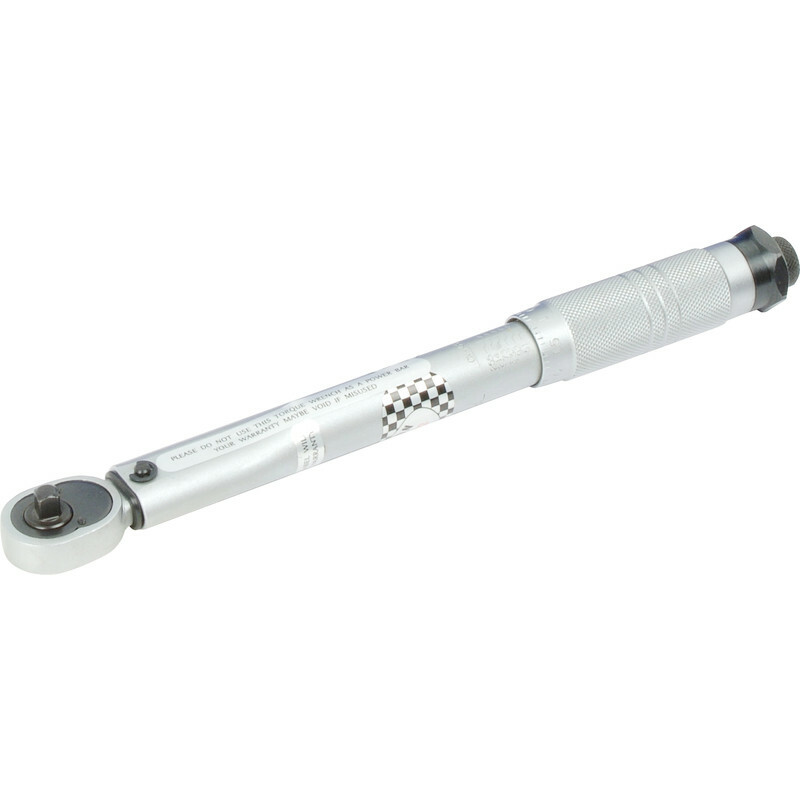 Torque Wrench 1/4" is rated 4.8 out of 5 by 13. Rated 5 out of 5 by Sailer from Good feel I have another type to compare, this adjusts with a solid feel and does the job. Rated 5 out of 5 by themoudie from Good size and accurate low torque values Bought for me as a present after I did the research. Very useful and easy to set up and use. Reveals the potential inaccuracies that are achieved when tightening fasteners by "experience" and "feel"! Stop deluding yourself and tighten the fasteners to the correct torque, every time. Rated 3 out of 5 by Old Seadog from Does the job Not the best quality torque wrench I have used but ok for the price. Rated 5 out of 5 by Oscar from Very Handy Low Range Torque Wrench Brilliant torque wrench, good quality tool to have, and not expensive. I have used it and I'm very pleased. Top marks to Toolstation for a competitive price. Thanks. Rated 5 out of 5 by Homer75 from Good Quality at a Good Price Bought for the safety critical points on my motorbike,solid,good quality wrench complete with case & certified calibration.